Last week, gold prices hit their highest level since mid-February as the dollar’s decline increased investors’ appetite for the precious metal. There is a growing perception that the Federal Reserve is likely to hold off hiking interest rates until September or December to ensure the economy is strong enough to withstand an increase in borrowing costs, and this is supporting gold prices at the moment. In their latest Gold Demand Trends report covering the first quarter this year, now provided by the Metals Focus consultancy rather than by GFMS which has provided them in the past, the World Gold Council (WGC) reports that Chinese consumption (excluding Hong Kong) fell by 7% in Q1 this year to 272.9 tons compared with Q1 2014, while India’s grew by 15% to 191.7 tons – which still leaves China as the number one global consumer. The report also points out that together, the two countries account for 54% of total global gold consumer demand. In terms of percentage of new mined supply – put at 729 tons for Q1 2015 – the two countries accounted for 64%. However, according to certain analysts, in the case of China, these figures are still not accurate as they do not include withdrawals from the Shanghai Gold Exchange (SGE) which reached around 623 tons in the first quarter– 10.5% higher than in Q1 2014. According to the WGC’s report, global gold demand slipped marginally by 1% in Q1 to 1079.3 tons. Demand was down by a mere 11 tons this year compared with a year ago. Jewellery demand dropped by 3% in the first quarter to just above 600 tons. However, the official figures of Indian gold imports do not tell the complete story. Illegal imports which are impossible to quantify have sky-rocketed. The WGC estimates that last year, 175 tons of gold (which is worth around US$7bn) was brought illegally into the territory of India. In Mumbai, in the financial year 2012-13, 64 Kgs of gold was seized at the Chhatrapati Shivaji airport which increased to around 345 Kgs in 2013-14 and then exploded to 943 Kgs in 2014-15.And, in Delhi at the Indira Gandhi International airport, custom officials seized around 575 Kgs of gold last year. In 2013-2014 the quantity was 378 Kgs, and in 2012-2013 it was an insignificant 6 Kgs. According to an Indian Express report, gold amounting to a value of around US$150 million was seized in just first ten months of 2014-15. It doesn’t take a genius to see that this huge increase in gold smuggling coincides with the imposition of governments’ restrictions. Once again, a government blunder. Sometimes, the stupidity of government policy makes one wonder! Vipul Shah, chairman of Gems and Jewellery Export Promotion Council, said the industry has been “constantly urging the government to lower the import duty on gold”. The government should bring down the import duty and probably look at other ways of curtailing imports,” said Shah. However, the government have not acted and so, I expect the high level of smuggling to continue. In the meantime, demand for gold bars and coins in Europe increased by 16%. 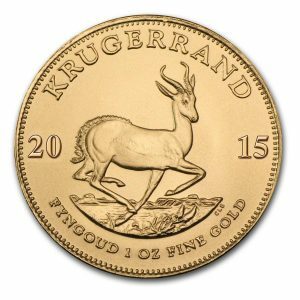 Much of this came from German investors who are reported to be purchasing at massive rates, with the demand for total gold bar and coins jumping 20% in the first quarter of 2015. For Germany, it is unusual for gold to be a hot commodity, especially right now since the economy of Germany is really strong right now. Even Europe has regained economic momentum within the last few months, which is outpacing the United States economy currently. The gold sales are rising dramatically because the European Central Bank is going to be purchasing $1.3 trillion in bonds, which is driving inflation fears. Citizens consider this to be central bank money printing, and the fear of higher prices is of concern to individuals. A number of geopolitical issues also seem to be of concern to individuals. There are increasing concerns about Greece and the never-ending crisis there, and the tensions between Russia and Ukraine also are sparking worries. Global debt is now in the region of $200 trillion. The McKinsey Global Institute recently published a report highlighting the bloated, unsustainable levels of debt that have been accumulated globally and the huge risks when interest rates begin to rise again. McKinsey concluded that total global debt was $199 trillion and the little covered report was released in February – 3 months ago – meaning that the figure is likely over $200 trillion. With a global population of 7.3 billion this works out at over $27,200 of debt for every man, woman and child alive in the world today. Almost 29% of that debt – $57 trillion – has been accumulated in the relative short period since the financial crisis erupted in 2007 – just 8 years. The report, entitled “Debt and (not much) deleveraging”, analyses the debt situation in 47 different countries – 22 of which have advanced economies and 25 with developing economies. Of the 22 advanced economies every country was found to have higher debt-to-GDP ratios today than they did in 2007. For many, the ratio had grown by more than 50%. Government debt has expanded by 25% since the crisis began and much of it stems directly from the crisis. As I have mentioned on many occasions, the current debt levels are totally unsustainable and without any real economic growth, there is no way that this will be resolved without a major monetary collapse or reset of the current fiat system. However, many people have no idea of what is really going on. Meanwhile, for the foreseeable future these markets will continue to be driven by economic data. 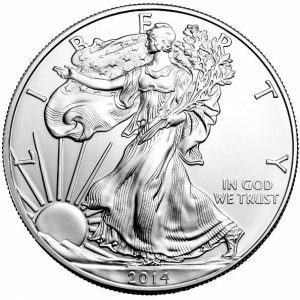 Silver has enjoyed a fantastic week, awakening from its bottoming slumber to surge with gold. And this strong silver investment demand is likely only starting. American stock traders and futures speculators control two of the world’s largest pools of capital active in the silver market. And the former group still remains woefully underinvested in silver, while the latter still has massive short positions left to cover. According to the Silver Institute’s World Silver Survey 20015 whichwas independently researched and compiled by the GFMS Team at Thomson Reuters, key components of global silver demand rose in 2014, with global silver jewellery demand posting a new record last year and silverware offtake rising to its highest level since 2006. This was coupled with notable growth in key silver industrial end uses, including ethylene oxide, photovoltaics, and brazing and alloys. Gains in supply from mine production and producer hedging were partially offset by a continued decline in scrap supply. Total silver physical demand stood at 1.07 billion ounces last year, the fourth highest level recorded since 1990, but a 4% decline from the 2013 total. A main factor in the decrease in physical demand was a fall in coin and bar demand from 2013, which had been a record year. 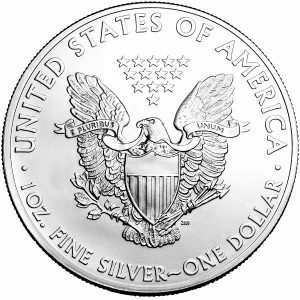 The largest component of physical silver demand, industrial applications, which accounted for 56 percent of total physical silver demand, was marginally lower by 0.5 percent. On a regional basis, a modest increase in industrial demand in developing countries, led by 4 percent growth in China and Taiwan, was offset by weaker demand in advanced countries in 2014. This marks the fifth consecutive year of Chinese industrial demand growth. Last year’s industrial demand total for Taiwan was 23 percent above their 2009 figure. Silver demand for photovoltaic applications rose 7 percent in 2014 while silver demand for ethylene oxide (EO) grew 6 percent. 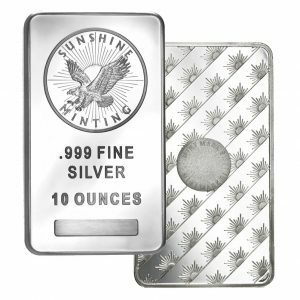 On the latter, GFMS estimates that 128.6 million ounces (Moz) of silver resided in EO plants around the word at year-end, equivalent to 15 percent of last year’s total mine production. Additionally, brazing alloy and soldering demand increased by 3 Moz in 2014. Photography demand slid by 5 percent in 2014, experiencing its slowest pace of decline since 1999. Globally, silver jewellery fabrication had a second consecutive year of growth, increasing 1.5 percent to achieve a new record. This was a reflection of high levels of restocking and a strong performance from India, which surged 47 percent from 2013 levels. Gains were also noted in Europe, up 9.3 percent, and North America, up 2.2 percent. Total silverware fabrication rose 3 percent to levels not seen since 2006, primarily due to a 20 percent increase in demand from the Indian Subcontinent. 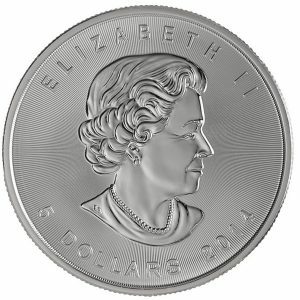 In 2014, silver coin and bar purchases remained at historically high levels, primarily due to growth in silver coin demand in several key markets. Growth was experienced in the United States, Canada, India and Spain. 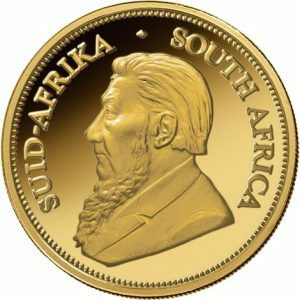 Silver coins and medals demand was 107.6 Moz last year. Holdings by silver-backed exchange traded funds remained sturdy, growing by 1.4 Moz, to record their highest year-end level at 636 Moz. In contrast, gold ETF holdings ended 2014 at 53.1 Moz, 8.8 percent lower than their year-end 2013. Identifiable investment demand, which includes physical bar investment, coins and medals and exchange traded funds (ETF) inventories, stood at 197.4 Moz last year. 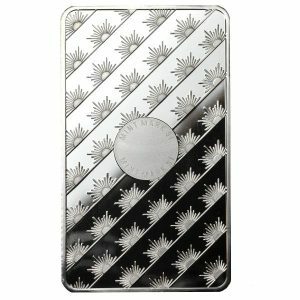 Demand for physical bullion bars reached 88.4 Moz. India experienced a 4 percent growth in silver bar demand last year, but that was countered by losses in the United States, China and Europe when compared to the prior year. A combination of a slowdown in Chinese growth, a move away from commodities as an asset class, a stronger U.S. dollar, and a challenging year for most precious metals in general, led to a lower average annual silver price at $19.08 for 2014. 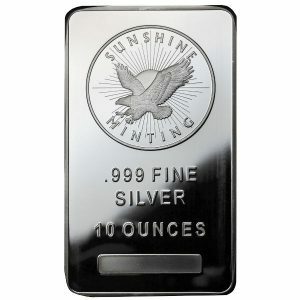 Silver mine production grew by 5.0 percent to reach 877.5 Moz. This growth is attributable to stronger output from the primary silver and copper sectors, new projects that came online last year and significant production gains in Central and South America. Primary silver mine production grew 8 percent, and accounted for 31 percent of global silver mine supply. Mexico was the world’s leading silver producer, followed by Peru, China, Australia and Chile. Primary silver mine cash costs dropped 16 percent to US$7.74 an ounce, while the producer silver hedge book grew by 15.8 Moz in 2014. 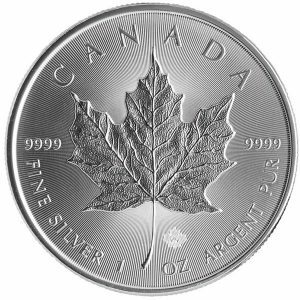 Government sales of silver were essentially non-existent last year. Scrap supply was down 13 percent at 168.8 Moz, the lowest volume level recorded since 1996 and the third consecutive year of decline. As a proportion of total silver supply, scrap remained just above 15 percent, down from 25 percent in 2011 and 2012.